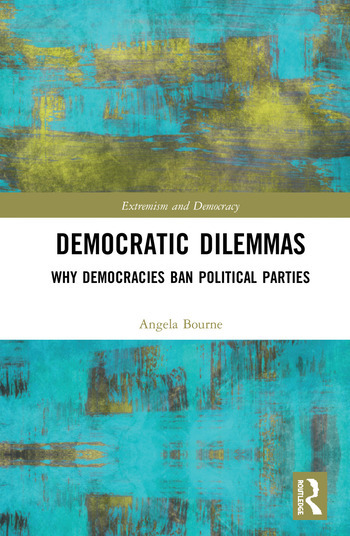 This book examines how democratic communities resolve dilemmas posed by anti-system parties or, more specifically, the question of why democracies take the grave decision to ban political parties. On the one hand, party bans may ‘protect’ democracies, usually from groups deemed to undermine the democratic system or its core values, territorial integrity or state security. At the same time, banning parties challenges foundational democratic commitments to political pluralism, tolerance and rights to free speech and association. The book probes the deliberative processes, discursive strategies and power politics employed when democratic communities negotiate this dilemma. It examines discourses of securitization and desecuritization, preferences of veto-players, anti-system party orientations to violence, electoral systems and the cordon sanitaire as alternatives to party bans, and incentives for mainstream parties to cooperate, rather than ban, parties to achieve office and policy goals. It does so with reference to case studies of party bans, legalizations and failed ban cases in Spain (Herri Batasuna and successors), the United Kingdom (Sinn Féin and Republican Clubs) and Germany (Socialist Reich Party and National Democratic Party of　Germany).